Tom Daley has told ITV West Country he's already working hard for the 2020 Olympics in Tokyo. The diver who won bronze in the Olympics in Rio was back in Plymouth to sign copies of his new book - Tom's Daily Plan - which is full of healthy recipes and exercise tips. But he says there's no need to cut out those bacon sandwiches because it's all about moderation. The Olympic diver will be visiting his hometown of Plymouth to sign copies of his new book, Tom’s Daily Plan. Plymouth diver and Olympic bronze medallist Tom Daley says lessons have been learnt as he heads home from the games in Rio. Tom Daley's bid for Olympic gold in Rio is over after he failed to qualify from the semi-finals of the 10 metres platform event. The 22-year-old from Plymouth looked well placed to improve on his London 2012 bronze after placing first in Friday's preliminary round. But he endured a poor first three rounds of the semi-final at Maria Lenk Aquatics Centre and his inability to recover in the remaining three meant he suffered the ignominy of finishing last of the 18 competitors, with the top 12 making it through. Before the games Daley had boldly claimed he would be satisfied with nothing less than gold from his individual event. Plymouth Diver Tom Daley says he almost gave up the sport after the last Olympics. Tom Daley has been inundated with hilarious Photoshopped pictures after he asked his fans to help him design a new Twitter cover picture. Tom Daley and Dan Goodfellow have secured their place at the 2016 Olympics after combining for a bronze medal at the Diving World Cup. 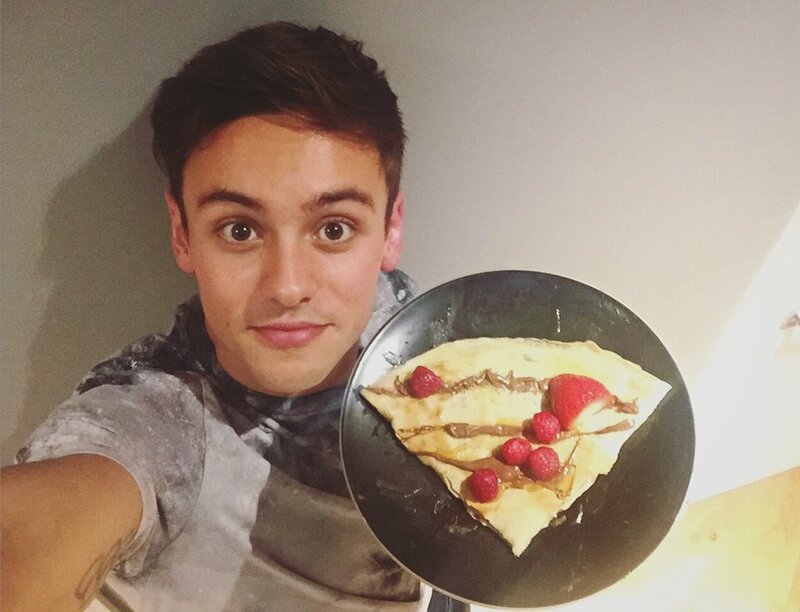 What's Tom Daley's perfect pancake? With hundreds of us gathering our ingredients and prepping our pancakes, local athlete Tom Daley has been cooking up a storm of batter in the kitchen. He's been documenting his pancake-making day - but can you beat his staple sweet pancake of chocolate and strawberries? Email us your pancakes to westcountry@itv.com.